Employee checking a server rack at the new data center of T-Systems, a subsidiary of Deutsche Telekom AG on July 01, 2014, in Biere, Germany. 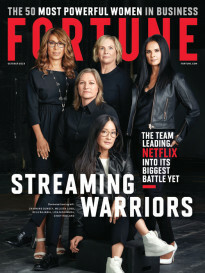 When Tim Eades, CEO of vArmour, a 4-year-old data center security startup based in Mountain View, Calif., met with Fortune over tea a few weeks ago, he hinted that the company would soon name a couple of heavy-hitting business veterans to its board of directors. The cybersecurity firm made the additions official on Wednesday: Gary Moore, a seasoned Cisco alum, and Meg McCarthy, a top exec at Aetna. The first appointee is Moore, former president and chief operations officer at networking gear-maker Cisco (CSCO), whom industry watchers this year had pegged as a potential successor to the company’s longtime CEO John Chambers. A Cisco search committee ultimately elevated Chuck Robbins, one-time senior VP of worldwide field operations, to the role in May. Moore, who had spent 14 years at the company, left shortly thereafter. In the months following his departure, Moore mulled his next steps, he told Fortune on a call. He decided to join Ohio State University’s school of business as an executive in residence and lecturer. He also joined the board of Finjan (FNJN), a small cap Cisco-backed cybersecurity company that boasts a raft of enterprise IT security patents, last week. At this point in his career, Moore said, he has the good fortune of not needing to work for money. Instead, he’s interested in “adding value and having fun.” He has ruled out an operational role for now, he said. “I’m not ready to go hang up my wingtips for my loafers and jeans, if you will,” he added. vArmour’s second board appointee is Meg McCarthy, executive vice president of operations and technology at the health insurer Aetna (AET). McCarthy serves on the board of the financial services firm First American Financial Corporation (FAF). She is also a member of multiple committees at the Washington, D.C.-based non-profit Council on Affordable Quality Healthcare as well as the gender parity council at the World Economic Forum. Moore and McCarthy will join existing board members David Stevens and Lane Bess, former CEOs of Palo Alto Networks (PANW), along with others, including the company’s co-founder and former CEO Roger Lian and investors. vArmour, whose software secures network traffic within data centers and across cloud services, has raised $42 million to date from investment firms such as Highland Capital Partners, Menlo Ventures, Citi Ventures, and Allegis Capital. Fortune earlier this year speculated that the startup could eventually achieve “unicorn” status, reaching a valuation at or exceeding $1 billion. A competitor, the data center security startup Illumio, already earned its horn this year. The company last week named Mark Weatherford, a former senior U.S. Department of Homeland Security official, as its chief cybersecurity strategist, too. Follow Robert Hackett on Twitter at @rhhackett. Read his cybersecurity, technology, and business coverage here. 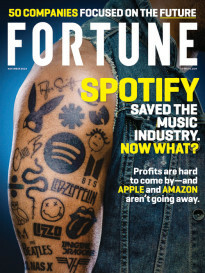 And subscribe to Data Sheet, Fortune’s daily newsletter on the business of technology.